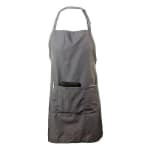 The Chef Revival 601BAO-3-GR bib apron has three front pockets, so the wearer can keep check presenters, notepads, and pens within close reach. One of these pockets is large enough to hold a tablet. It is made of a poly-cotton blend that adds comfort and strength for commercial use. It secures with 50-inch ties and has an adjustable neck strap to accommodate different body types. 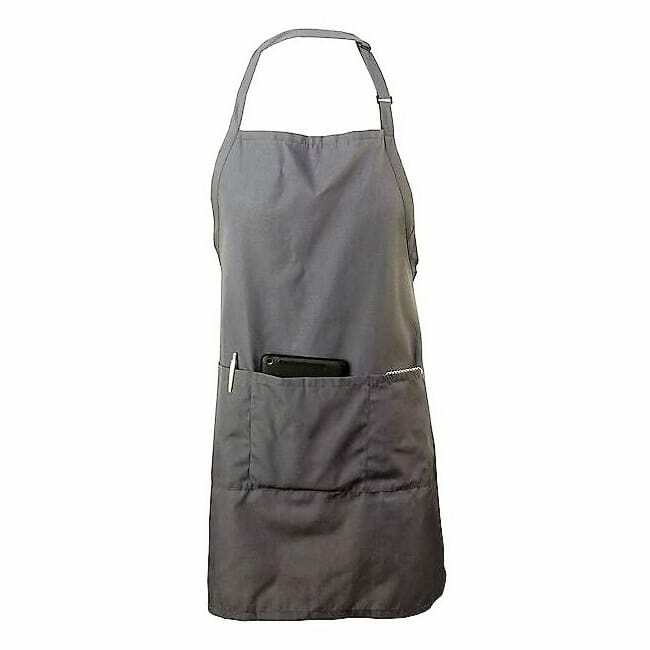 To fit into a variety of establishments, the Chef Revival 601BAO-3-GR bib apron comes in pewter gray. Visit our apron buyers' guide for in-depth information about different types of aprons and their ideal uses.